ETA: Specialist Snowflake and all other GT philosophy majors have solved this mystery. 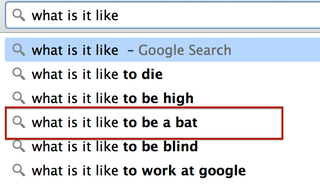 Apparently "What is it like to be a bat?" is an influential paper by the American philosopher, Thomas Nagel.